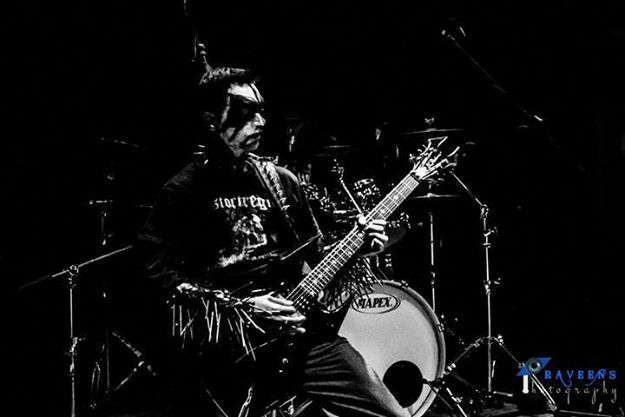 The forming of Dark Desolation began during the summer of the year 2010, founder and guitarist Shred Aj decided to join forces with vocalist Maggot after relentless searching to start a new band that would take the term "Black Metal" to a whole new level we now know as Dark Desolation. They epitomize a dark and gloomy essence , leaving the listener in a state of desolation. Dark Desolation has been flamboyant since inception and quickly established as a band to watch. Unarguably Dark Desolation has emerged to be the most vehement Black Metal outfit to have ever emerged from India. After a phenomenal audition of top notch drum chops by devious drummer Karthik, he was hired in May 2010 as the drummer and thus becoming the youngest member in the band. The band then recruited the talents of guitarist Dharni and bassist Jake to make sure they were able achieve this goal. Dark Desolation draw their inspiration from sheer interest towards the genre and the music. A lot of success happened since 2010, and Dark Desolation became the first from India to ever get associated to the world's best underground label 'Salute Records' from Scandinavia. Immense international exposure is what Dark Desolation strongly aimed at and were constantly featured in compilations across Europe to begin with. The band then was also featured in a podcast alongside Dimmu Borgir within a few months after formation and winning several other radio appearances and compilations across USA, UK, and many more. On the arrival of 2012, Dark Desolation spent time in crafting their debut demo album consisting 5 tracks which includes a tribute to 'Dark Funeral' that was released worldwide by Salute Records to critical acclaim from all over the world (popular Metal webzine 'Brutal Assault' rated it on a 4 on 5). More press reviews poured in with reviews of 9/10 from a lot of international websites/ zines and the album reached out to a lot of countries attracting a lot of international audience from countries like Ukraine, Japan, USA, Germany, Belgium, France, Turkey, Greece, Thailand, Malaysia and more. The band personally recieved an acclaim for their cover of a track from the mighty Polish Black Metal Band 'Besatt'. The band kept conquering stages and destroying everything in sight with ultra tight razor sharp live performances. Dark Desolation continues to wave the flag of India in the international scene becoming the first Indian band to land endorsement deals with some of the biggest brands like B.C Rich Guitars, Railhammer Pickups, Blackstar Amplification, Sit Strings, In Tune Guitar Plectrums, Big Bends, Guitar - cable, guitar - gifts, Mental Case, Soultone Cymbals, Maxon Pedals, Emma Electronics, Twa Flyboy pedals, Charlies Pedalboards, and Morley Pedals becoming the most endorsed band to ever emerge from the Indian soil. December 2014, Dark Desolation unleashed their highly acclaimed "Slaytanic Warfare" A Tribute To Jeff Hanneman single to pay respect to the legendary guitarist. The band also won the 'Global Metal Apocalypse Awards' as the best Asian breakthrough Metal band of 2014, skyrocketing their career. 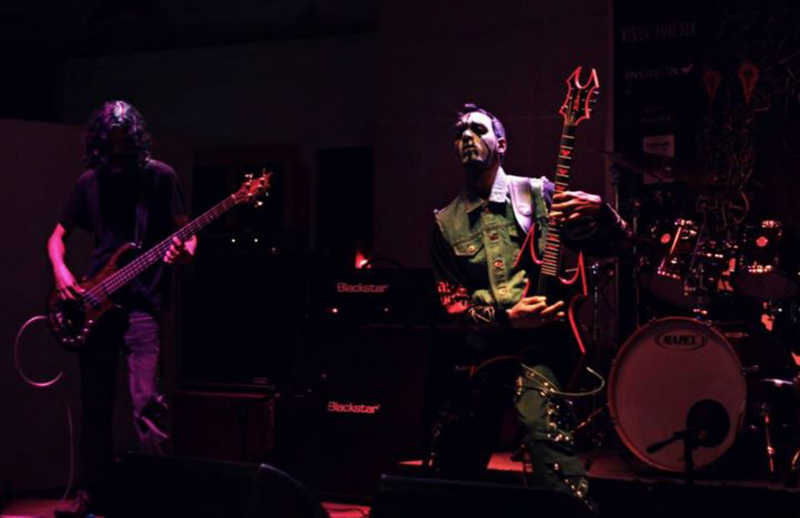 Dark Desolation is known for delivering the most aggressive live performances ever witnessed by an Indian band thereby acquiring the title of the bands sound known as 'Unapologetic ferocity' by critics.